On Saturday, January 7, American Realness 2017 presented a conversation featuring Native American choreographers Rosy Simas (Seneca) and Christopher K. Morgan (Native Hawaiian) with Sara Nash, Program Director, New England Foundation for the Arts at Brooklyn's ISSUE Project Room. The afternoon session was organized by American Realness in response to concerns first raised in mid-December by Simas about the APAP-related festival's planned programming of a solo performance by Latifa Laâbissi, a French national of Moroccan lineage. (See Rosy Simas Reads Laâbissi’s "Self Portrait Camouflage", InfiniteBody, December 13, 2016.) Sima's complaint and subsequent conversations with American Realness founder, curator and producer Thomas Benjamin Snapp Pryor led to an apology statement from Pryor, who had programmed the Laâbissi show in collaboration with MoMA PS1 associate curator--now Executive Artistic Director of Performance Space 122--Jenny Schlenka. Although Pryor quickly withdrew his organization's co-sponsorship of the Laâbissi event, MoMA PS1 kept the show on its APAP schedule. In the meantime, Simas and Laâbissi had an extensive conversation about the issue. "to discuss the state of Native American performance work across the US and the epidemic of institutional negligence, insensitivity and attempted erasure of and towards Native American / Indigenous / First Nations’ values, histories and contributions to contemporary artistic practice. This conversation seeks to investigate how our dominant culture’s historical insensitivity aids in forms of cultural appropriation, Redface, and racism in artistic practice, spectatorship and presenting. Does Redface sell? Is curating Native artists seen as risky, unsellable, or uninteresting, or does this speak to institutional and societal ignorance?" Orlando Zane Hunter, Jr.--co-founder, with Ricarrdo Valentine, of Brotherhood Dance!--attended this session and contributes a report. Native American Realness was nothing short of a resistance that's been happening for over 500 hundred years. Artist Rosy Simas from Minneapolis initially sparked what's part of a larger fire as it relates to indigenous performance, life and well-being. Simas challenged the annual American Realness festival to reexamine why it would present Latifa Laâbissi's Self Portrait Camouflage, a Red Face performance, an appropriation by an artist who may or may not have done the research on indigenous performance. Laâbissi was not there to defend her work and dialogue with Simas. Should she have been? The conversation opened with each person stating their names and if they belonged to any indigenous nation--a traditional way of opening the space and filling it with ourselves and our ancestors. The first questions posed for the room were loaded yet poignant: What is "Red Face" and why is it problematic? Why is it programmed? We further questioned: Why does Red Face programming get funded in the United States while Native American artists do not? Boundaries were set so that Indigenous people in the room would speak first. It should be noted that not every cultural institution would have the integrity to share their failure so publicly and be willing to host the provocateur and many others who stand in solidarity. And they did this only a month after the controversy arose. Response plus action. Red Face is a racialized representation of Native American people similar to Black Face in America. Red Face is the impersonation of Native American people by white people of European descent, though not exclusively. People of color can also objectify their own cultures as well as others. Educational structures and cultural production sectors use this and other similar mechanisms to control the image of Native Americans. These efforts continue to write Native Americans out of their own stories, never affording space or access to funding for Native Americans to write their truths. As the conversation progressed, further challenges emerged around intention and the research process. Who is authentic? For bodies of color, entering European performance spaces is a radical act in and of itself. Participants questioned how context can be provided for the audience. Should it even be provided? When it comes to esthetics, what is disruptive? If the standard is European esthetics, then we must question who is radical. Someone mentioned a recent performance by Will Rawls that was sourced in Balkan dance traditions. What does "radical" mean for different cultures? In the words of Rosy Simas, "If an artist says it's radical, shouldn't we believe them?" Contextualizing performance is left up to the artist who must negotiate how much they want to let the audience in on their intended communication. As the ninety-minute conversation ended, everyone realized that this was only a beginning to the work of excavating the dissociative culture we live in and its reluctance to process the trauma suffered by indigenous cultures. How do we heal? Native American Realness was an opportunity for cultural workers and community members to have open dialogue about the misrepresentation and appropriation of Native culture and performance. This conversation was an example of how cultural production platforms and artists can work together to incite change, offering healing resistance with rigorous dialogue and harmonious creative space. Orlando Zane Hunter Jr. is a choreographer and dancer who researches, illustrates and creates from an African-American male perspective. In his work, he tackles issues resulting from a capitalistic imperialist patriarchal white supremacist system. Hunter grew up dancing hip-hop and graduated with a BFA in Dance from University of Minnesota, where he performed works by Donald Byrd, Bill T. Jones, Carl Flink, Louis Falco, Colleen Thomas, Uri Sands, Stephen Petronio and Nora Chipaumire. His solo Mutiny was selected to represent the University of Minnesota at the 2011 ACDFA gala in Madison, Wisconsin. Orlando studied LGBT activism and history in Amsterdam and Berlin. 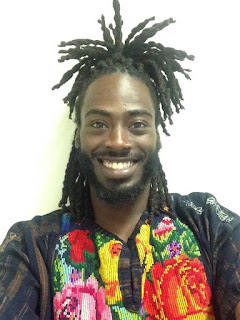 He has performed with Christal Brown/INspirit Dance Company, Contempo Physical Dance, Forces of Nature, Makeda Thomas, Threads Dance Project, TU Dance and Ananya Dance Theater, an all-women’s company where he was the first male member and toured with them to Trinidad & Tobago and Zimbabwe. Hunter is a co-founder of the collective Brother(hood) Dance!